…What if I told you that all you had to do was add just ONE ingredient to your batter, and it would make your brownies moist, gooey, and EVERYONE would demand the recipe? I bet you’d ask how that’s even possible. 4shared for androidThat’s right – this vegetable is in prime season right now, and if your garden looks anything like mine, it’s thriving with more zucchini than you know what to do with! You’re probably tired of stir-fry and roasted zucchini, so why not try making a dessert with this vegetable for a change? (Just trust me). I love this recipe because it’s easy, doesn’t require a boxed mix full of additives, and truth be told, they come out more fudge-flavored than anything I’ve ever baked. 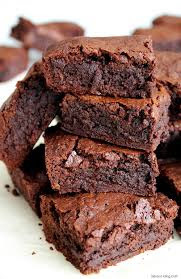 By making brownies with zucchini, (which is essentially full of water and fiber,) you’re taking away the need for added fats/butter, giving the batter a very gooey consistency. Just trust me – you do NOT need to add anything to make this batter thinner! – Line an 8″x8″ pan with parchment paper or rub with olive oil/butter. – In a SEPARATE medium bowl, mix together flour, cocoa powder, baking soda and salt. Mix until very smooth. – Add the dry mix into the wet mixture. gently STIR until combined. – Pour batter into pan and smooth-out the top. *Please note, these are intended to be fudge-like and gooey, so if there is a small amount of batter on toothpick, it is ok! Store in an airtight container for up to 7 days, or wrap in tin foil to freeze! “I made these brownies as soon as you emailed, I have so much zucchini from our garden that I didn’t know what else to make with them! These were delicious. Best part you don’t know they are zuccini made and I didn’t tell my kids that it was zucchini brownies and they devoured them!